Established in 2005, Bert’s Homestore is Brighton’s premier independent retailer of cookware, home accessories, gifts and retro toys. With 3 physical stores in Brighton, Bert’s chose Moot Point to develop their first online store in WooCommerce. 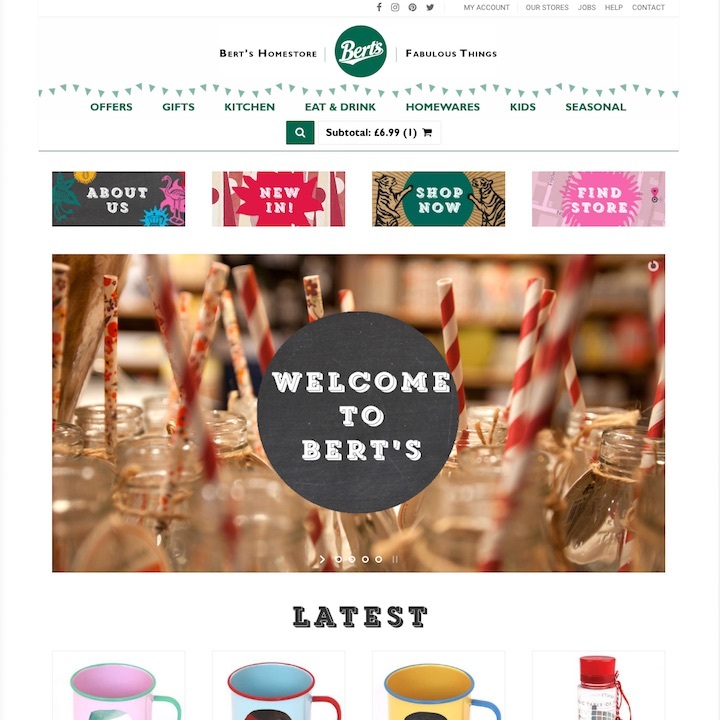 A custom responsive theme was built, based on a design by Toop Studio which integrated with Bert’s branding. A particular challenge for this build was to integrate the website inventory with the stores’ stock control system, ensuring accurate stock levels at all times. A custom module was built to synchronise stock levels with the stock control system via a REST API. Order despatch and refunds are also synchronised with the physical stores. Particular attention was paid to optimising site performance, employing caching and minification wherever possible.